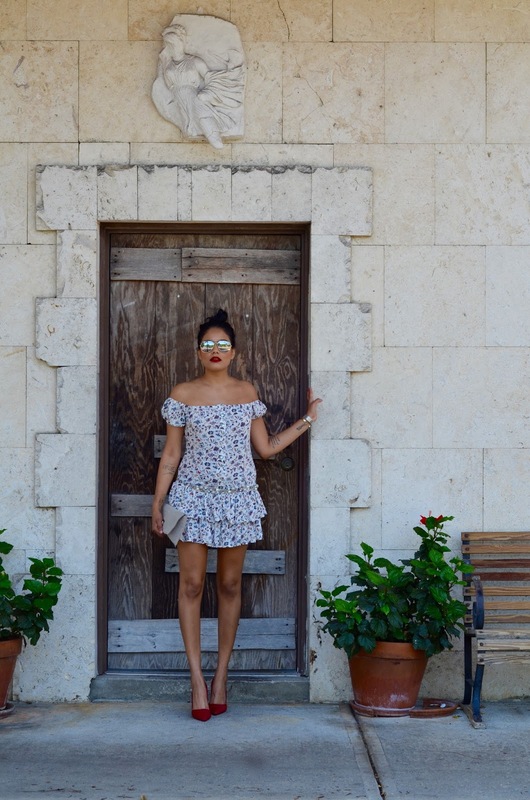 Bonjour my Beauties, in today's article I am featuring this romantic floral outfit you can wear during summer night out or tone it down with flats for a day time look. I have accessorized this new dress from American Threads I got from the store at Disney Springs with some of my favorite items for this summer. 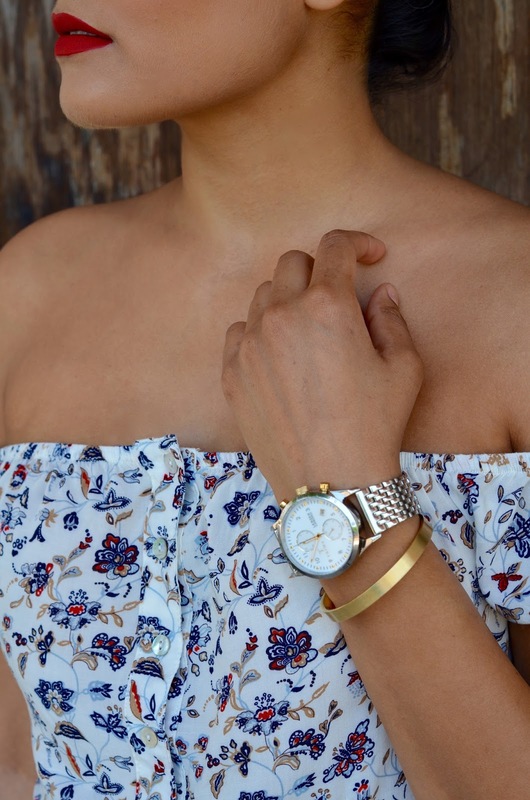 You must have seen the heels and sunglasses in my previous articles but I have some new things to share with you, to begin with if you follow me on my social media platform, you probably know how obsessed I am with this watch. It looks so good, shows the date as well so I don't have to look at my phone all the time, and then my second obsession is this fabulous lipstick from Smashbox in collaboration with Lilly Singh, a comedian that I love, it's limited so if you like it make sure to purchase it before it goes away.